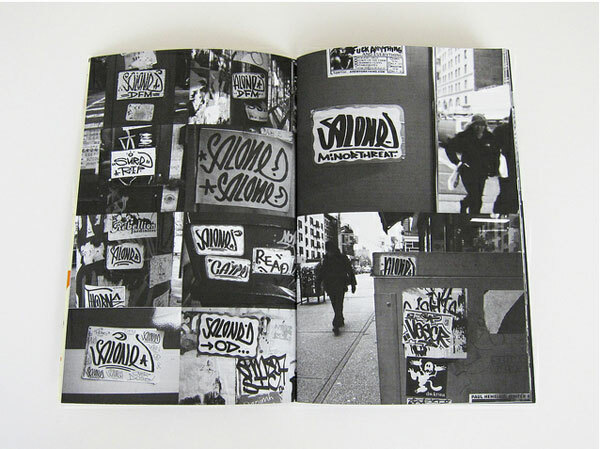 “Stuck” No 1 consists of 60 pages of previously unreleased photos of some of the sickest NYC stickers plus interviews with BASER, ALONE, MINUS and CRASTY. 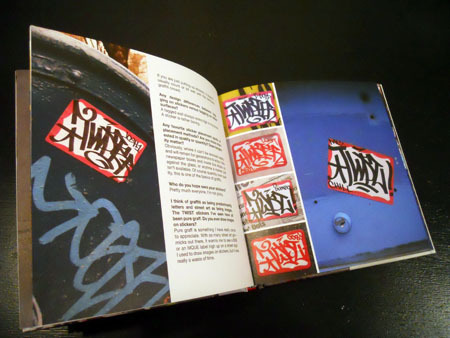 Each copy of the zine comes with three hand-written stickers, along with a full set of four vinyl stickers made exclusively for this issue. 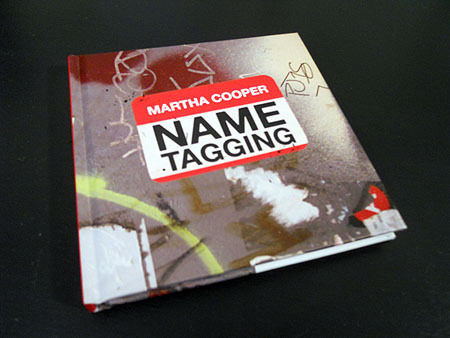 The cover image was screenprinted over layers of stickers and up to four colors of paint, giving each cover a completely unique look and texture. 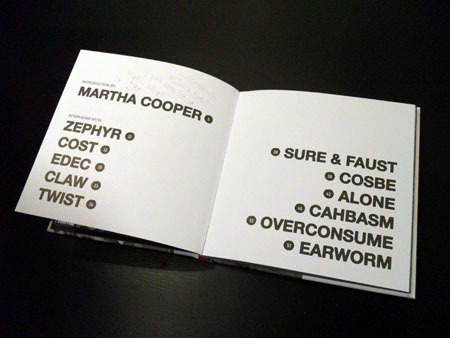 (Note: a very small number of covers are available in white ink). 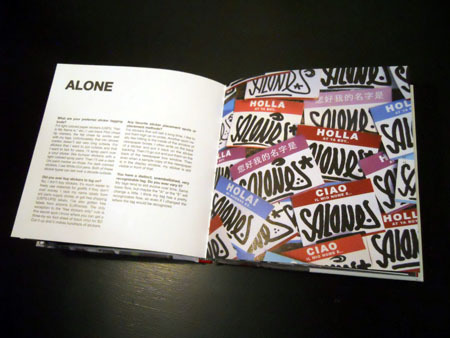 Stuck is limited to 300 hand-numbered copies. More info and pics at CarnageNYC. 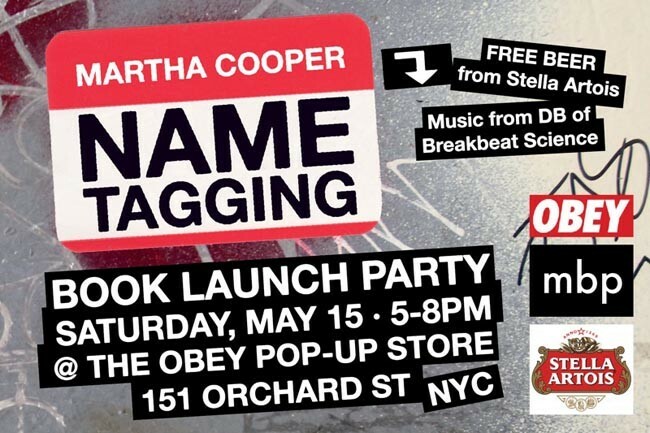 If you’re in NY this weekend, check out the book release and meet the photographer, Martha Cooper. 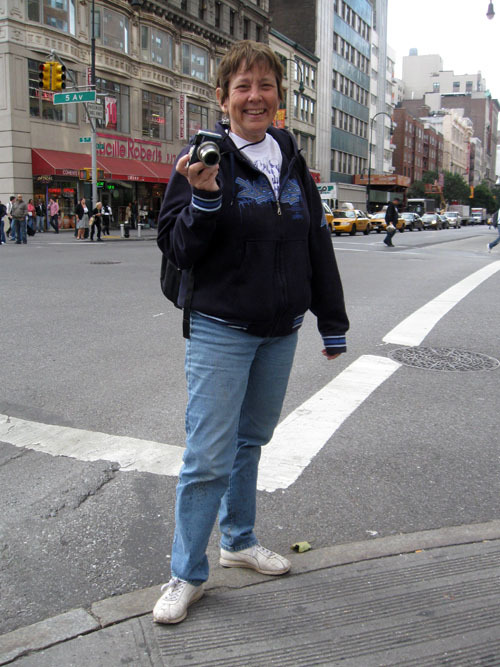 And be sure to check out her blog over at 12 oz. 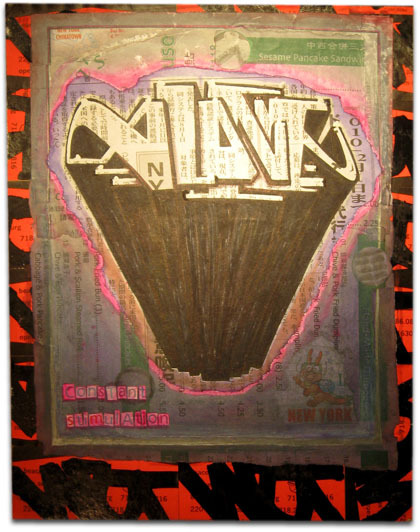 My art for Martha Cooper‘s “Going Postal” book release and art show..
check out the show Feb 20-22 at Ad Hoc Art, 49 Bogart St. Brooklyn, NY 11206 (Bushwick.. L Train to Morgan). 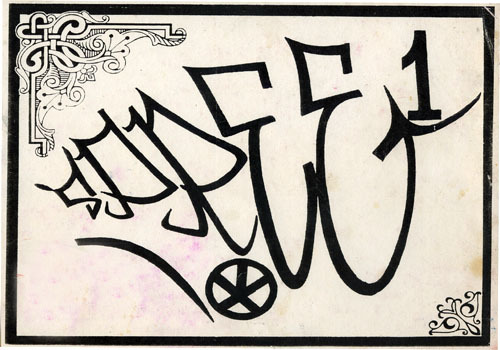 “Spree ECT (East Coast Terror)”. 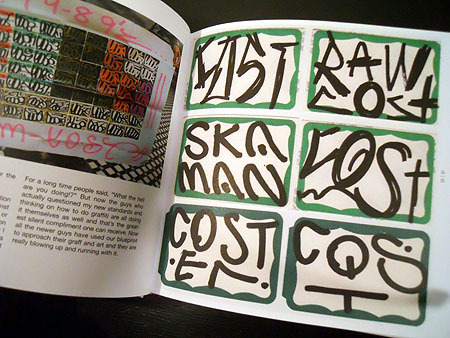 These were the first photocopied graffiti stickers I ever saw, back in Boston, 1989. He made them at his job at Copy Cop and they were up all over the buses. 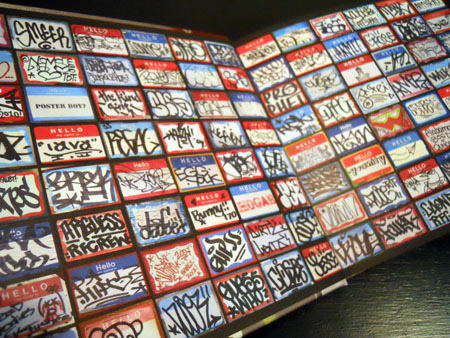 Before that he wrote “Monopoly” (Yeah, long tag. 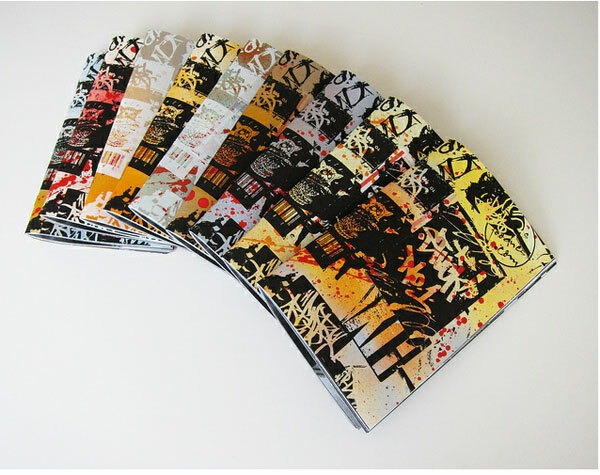 I couldn’t find a picture, but they were dope. ), and by the early 90’s he was done. 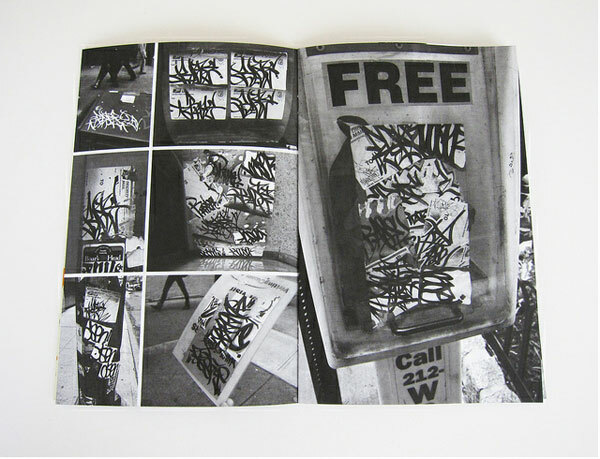 Big ups to Spree One.